The TomTom GO LIVE Camper & Caravan features a 5-inch widescreen and comes pre-loaded with maps for the UK and 45 European countries. The sat nav is also enabled with a year’s subscription to TomTom’s LIVE services, inclusive of the outstanding HD Traffic. The sat nav unit also comes with a mount that enables the device to be attached sticking up from the dashboard or hanging own from the windscreen. There is an bonding agent mounting disc provided that facilitates this, thanks to it, a clean surface is provided as opposed to the textured plastic that is utilized by a number of vehicle fascias. 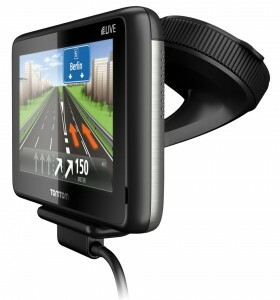 This sat nav provides for the ultimate addition for the avid travellers and campers in the UK, Ireland and Europe. It is an ideal travel companion that assists you navigate through not-so-familiar territories. With it, you are able to steer clear of detours and surprises such as narrow roads, low bridges, or any other obstacles that may limit your driving experience. With this unit, you are able to – switch between profiles hence providing for splendid camper or caravan passenger car options for campers, caravans and normal cars. Depending on the vehicle to be used, this sat nav provides for an option of selecting the weight, size and speed of the vehicle in a bid to find the correct routes, maps, and arrival times for the one you will be driving. You also get great traffic in addition to 5-day weather updates thanks to the LIVE Services that comes with the unit. With it, you are able to remain in the know hence easing your journey. 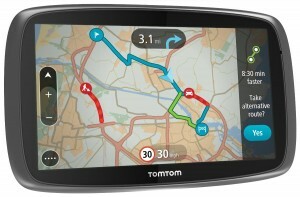 You can also make use of the Search & Go TomTom Places discover new areas. With the HD Traffic, you will be able to arrive on time, every time, while at the same time covering the a good number of roads with the greatest accuracy. For those confusing road layouts, you can make use of the Advanced Lane Guidance. Thanks to the TomTom Speed Camera, you are able to receive real-time mobile speed camera locations, inclusive of reports from other users. With this feature, you will be able to know of fixed speed cameras and average speed checks in advance, hence saving yourself a fine or two as you travel! The Map Share community ensures that you receive free daily map changes, inclusive of helpful changes such as blocked roads and new speed limits and blocked roads. In addition, in case a new map for your device is available within 90 days of first use, downloading of the same for free for one time only is possible via TomTom HOME. Hands-free calling is possible via Bluetooth so you keep your eyes on the road and your hands on the wheels. A voice-controlled navigation system on the other hand not only helps you plan your route but also give other commands to the device. The IQ Routes feature on the other hand provides you with fastest routes and most accurate arrival times while the QuickGPSfix hastens the time it takes to fix your GPS position. 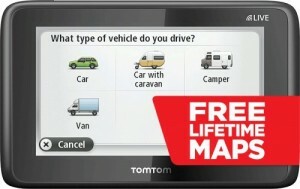 I have been using a TomTom Go Live Camper and Caravan Sat Nav for the last 3 or 4 years and it was absolutely perfect for my needs as I would transfer the device from my car to my campervan and adjust the settings accordingly. I particularly liked the live traffic updates as they have saved me hours and hours of queuing in traffic jams. The device no longer works and I cannot find a TomTom replacement which does the same – either I can have the campervan option or I can have live traffic updates. Do you know of a device out there which will do both?